Whisk together all ingredients in a large bowl. Working in two (or more) batches, depending on the size of your food processor, pulse the ingredients in a food processor until the chocolate is finely ground. Store the dry mix in an airtight container for up to 3 months. 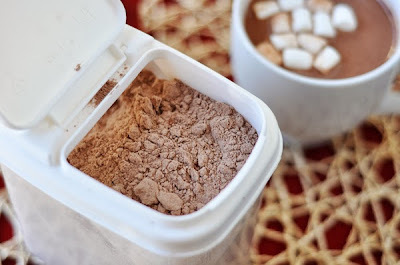 To make hot cocoa, put 1/3 cup of the cocoa mix in a mug and stir in 1 cup of hot milk. Top with whipped cream or miniature marshmallows, if desired.